Rock and Metal News & Reviews – No Bull! Grammy-winning band SYSTEM OF A DOWN has announced its first U.S. shows since 2015. This string of special dates kick off October 13 at the Glen Helen Amphitheater in San Bernardino, California, and include a headline performance at the Aftershock festival. The shows follow last year’s sold-out European tour. SYSTEM OF A DOWN‘s last U.S. concert was at the Forum in Los Angeles during 2015’s “Wake Up The Souls” tour. 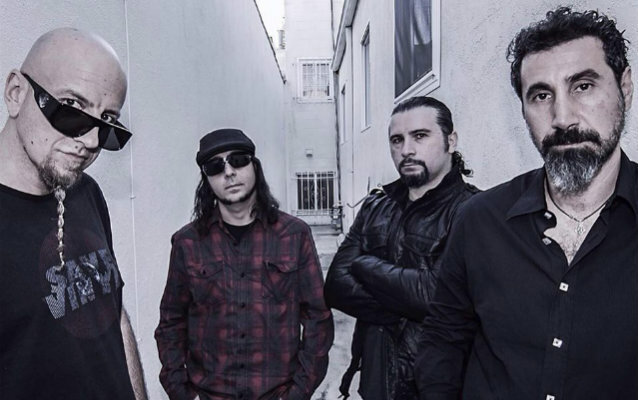 Tankian has toured with SYSTEM OF A DOWN over the past few years but the band has not released new music in more than a decade. Dolmayan recently said that it was “very disheartening” that the band hasn’t made a new album in nearly 12 years. The drummer revealed in a 2016 interview with Kerrang! magazine that SYSTEM OF A DOWN had written music for more than a dozen new songs for a possible follow-up to “Mezmerize” and “Hypnotize”. The band went on hiatus in the fall of that year, although they have toured most summers since 2011.